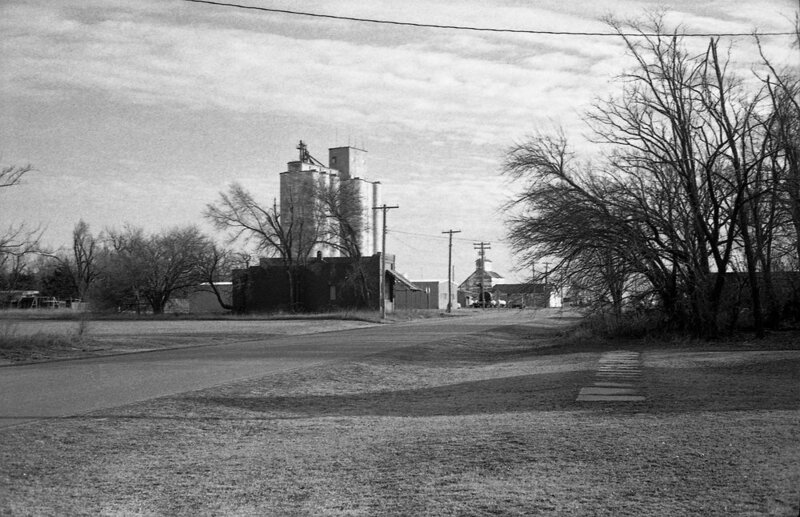 Near Kingman, Kansas is a small ghost town by the name of Penasola. I had heard there was old school house that I had to go see. Luckily it wasn't that far so I decided one Sunday afternoon to check it out. There wasn't much of a town left, just a grain CO-OP elevator. As I came upon an intersection I noticed shell of a building. It looked like an old bank. The type you see in the western movies. Sure enough when I looked the window and saw the original wood counters and the iron gate for the bank tellers I knew that is what it was.